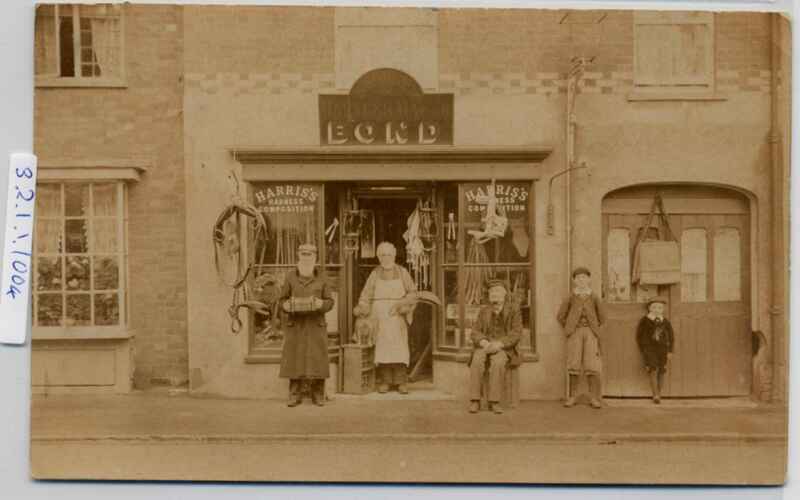 Full Description: A British postcard of a group standing outside Bond’s Harness-maker’s shop in Wimborne, Dorset. Bearded gent plays a large German Anglo, shop proprietor pets a dog, plus another old boy and two urchins. Dated 10 July 1907, sent from West Boro, Wimborne.